The Citizens’ Constitutional Forum acknowledges Fiji being voted into the United Nations Human Rights Council (UNHRC). Countries that are part of this inter-governmental body within the UN have a big responsibility in ensuring the protection and promotion of human rights. The lack of knowledge about Human Rights is still a challenge in Fiji and Civil Society organizations such as CCF can attest to that. Human Rights Defenders have also been systematically restricted from utilizing local and international platforms to raise issues on human rights. Fiji’s human rights abuses and violations continues to rise along with the limited civic space, suppression of media freedom and threat to human rights defenders. The recent alleged case of police brutality which resulted in the death of Josua Lalauvaki is an example of the existence of human rights violations in the country. Fiji became party to the Convention Against Torture in 2016. 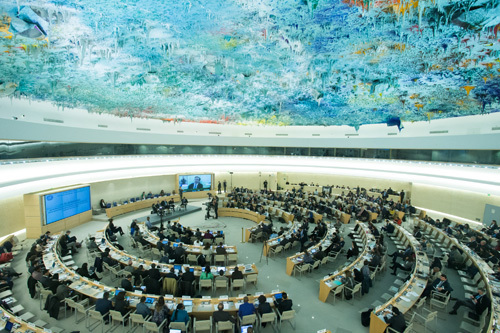 2019 sees Fiji reporting to the third cycle of the Universal Periodic Review (UPR). The UPR is a review mechanism of the UN regarding the overall human rights situations of all its member countries. CCF hopes that the government would continue to commit to implementing recommendations from the last cycle in 2014. Fiji’s three-year term as a member of the Human Rights Council commences next year.